Architectural History and Heritage student Alborz Dianat recently completed his placement with us. He did an impressive amount of cataloguing and digitisation work which included a powerful collection of lecture notes by the forward-thinking architect Francis Lorne. This collection is now live on our catalogue. The final project of my work placement has been to catalogue a handful of lecture notes by Francis Lorne (1889-1963), partner in the prolific architectural firm of Sir John Burnet, Tait & Lorne. 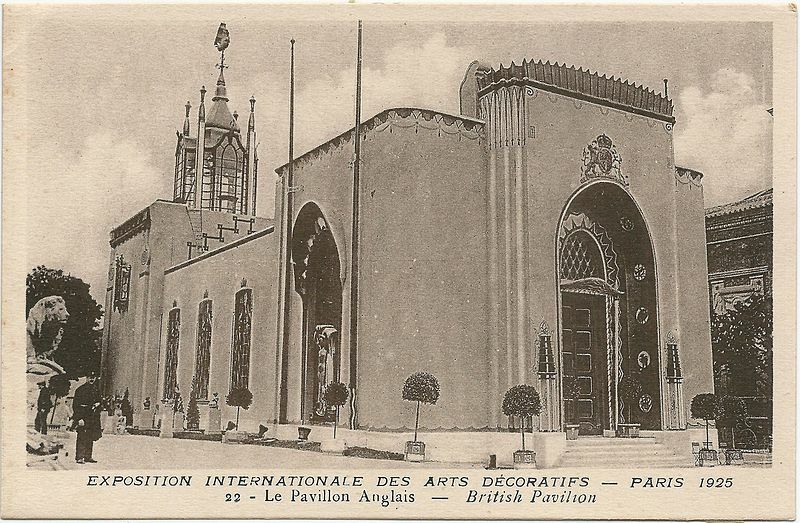 British Pavilion by Easton and Robertson, Paris 1925. Image courtesy of: Wikimedia Commons. 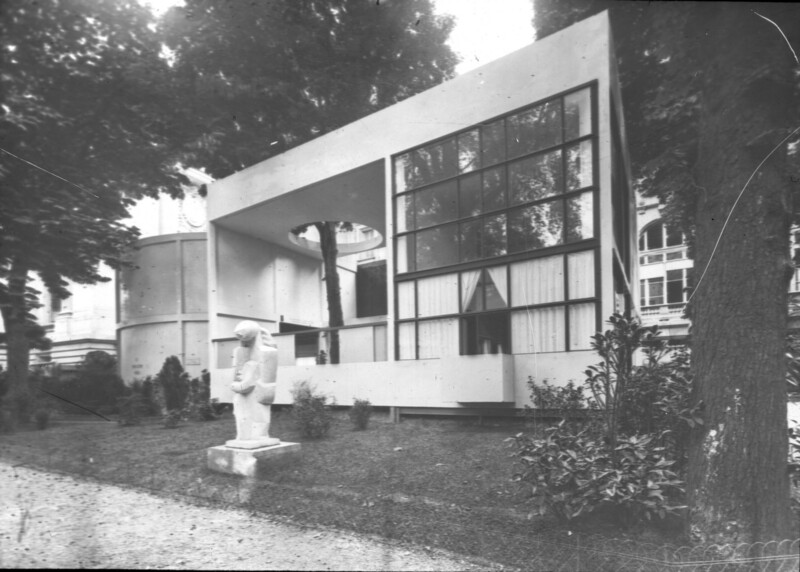 L’Esprit Nouveau pavilion by Le Corbusier, Paris 1925. Image courtesy of: ArchDaily. 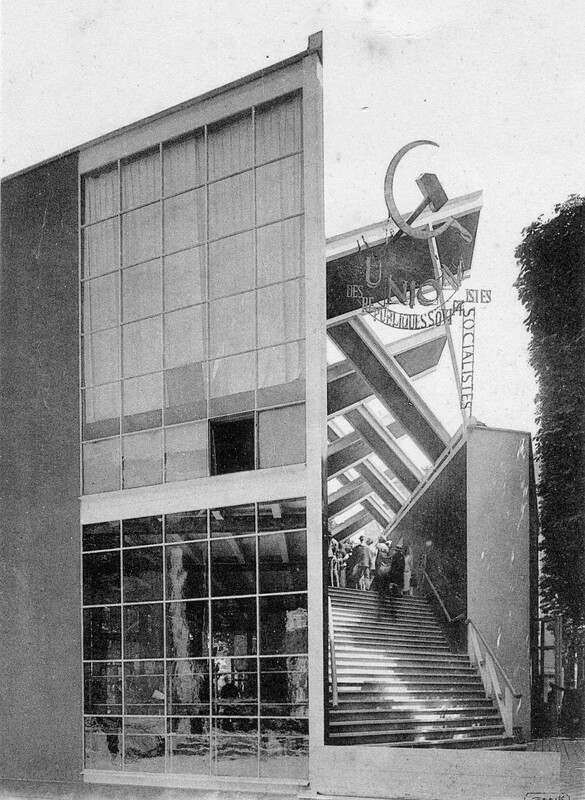 Soviet Pavilion by Konstantin Melnikov, Paris 1925. Image courtesy of: Wikimedia Commons. 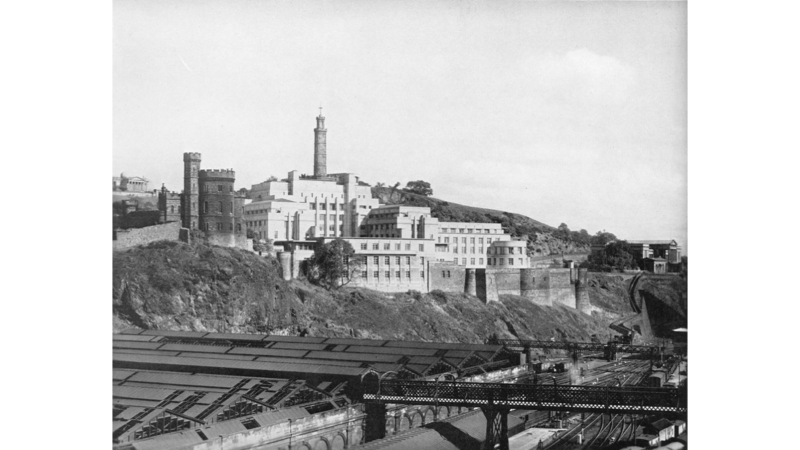 Lorne’s passionate lectures – including one given at the Glasgow School of Art where he was briefly a student – reveal his frustrations with education and architecture in general. Architects were said to be ‘pathetically trying to live in two ages at the one time’ by imitating past styles. However, he was also critical of the recreation of continental Modernism, stating that ‘we find the book habit asserting itself again, this time in copying the work of French, German, Dutch and Swedish artists, applying religiously their features of canopies, balconies, and such like, whether they suited our climatic conditions or not.’ In way of an analogy, he described the phenomenon as ‘grandmothers masquerading as young things.’ The solution, Lorne said, was to design not for style but for purpose – embracing the true values, and not the fashion, of Modernism. St. Andrew’s House by Sir John Burnet, Tait and Lorne, Edinburgh, 1939. Image courtesy of: The Architects’ Journal. Lorne’s lecture notes, offering a glimpse at one individual’s attempts to sway the architecture of a country, can be found in the Archives & Collections Catalogue. Click the links to read Alborz’s other blog posts about Alexander McGibbon and Kenneth Murray Fraser. Dictionary of Scottish Architects – Francis Lorne. Fox, Thomas. “Francis Lorne 1889-1963.” The Thirties Society Journal 6 (1987): 26-31. Powers, Alan. “British architecture after the Great War.” The Architectural Review 236 (2014): 98-101.